Newborns require breast milk or formula milk at regular time intervals so as to get needed nutrition for growth, muscle mass growth and overall development. During the first few months of their life, babies will depend on your breastmilk or milk formulas for needed nutrition to grow and gain body mass. Staying at home all the time is not healthy as your baby will need to get fresh air and sunshine as well plus it can be healthy to start exposing your baby gradually to the public as this way he would slowly get used to the noise, scents and people. Moreover, doctors have proven that taking your baby out after he has turned 8 weeks will help him develop a stronger immune system. How Many Types of Nursing Cover There are? How to Prevent Your Baby Choking in His Sleeping Crib? The most popular nursing covers are called Udder Covers, they are widely known to be thick yet breathable plus they are available in a wide variety of colors as well as different patterns. The specially designed neckline will allow your baby to see during breastfeeding and vice versa plus Udder Covers come with soft and adjustable straps. Moreover, they are easy to clean as they are machine washable and drier safe hence you would not have to worry about these best nursing covers shrinking or losing their color. Also, many parents have reported using Udder Covers on top of their strollers to block out sun rays during walks outside. However, Udder Covers are not the only ones that have gained a lot of loyal customers around the world. San Diego Baby Nursing Pillows will be great mothers wanting a breastfeeding pillow as well as a nursing cover. Basically, it will provide privacy and comfort at the same time plus the nursing cover can be detached whenever you will be going out so that you could take the cover with you and leave the pillow at home. Furthermore, the San Diego Baby Nursing Kit’s pillow is made in the United States under strict quality control. It is made only with safe materials and does not contain any traces of toxins such as lead or mercury. Plus, the pillow is eco-friendly and can be recycled when your baby will grow older. 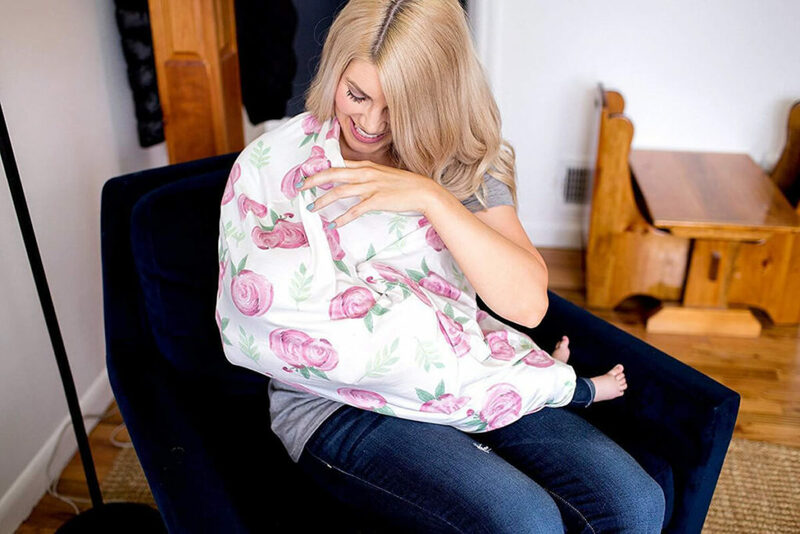 Nowadays, a lot of mothers go for Nursing Scarfs as well because they can be worn as an accessory plus they are available in many colors and fun patterns. 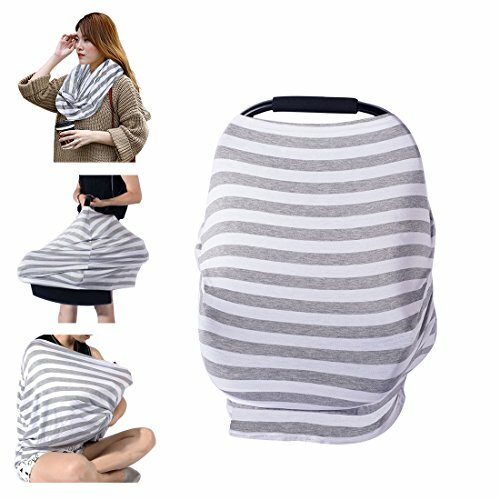 Mothers can wear the scarf around their neck as a functional scarf then when the time for breastfeeding will come you can simply transform it into a nursing cover. Once you will be done nursing, you can wear it back on your neck as a scarf. The scarfs are made from a comfortable blend of jersey knit and cotton thus they can be washed in the washing machine. Also, some practical mothers prefer choosing good old breastfeeding canopy as it is made with 100% flannel fabric and is very quick and easy to use. Breastfeeding canopies fasten at the neck and come with several adjustable straps that can be used to regulate the canopy. 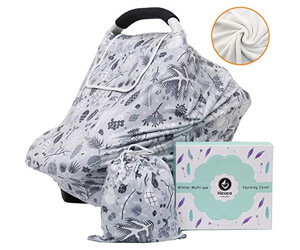 However, if you have little space in your diaper bag, you might want to consider breastfeeding straps that are adjustable and have a clip on each side that you can use to fasten the strap onto your shirt and baby blanket or burp cloth. The strap will ensure that the baby blanket does not slip and expose you in public. Even if wake up in the middle of the night to feed your newborn, never place him back in the crib immediately after because this can lead him to choke on his burp. Avoid placing your baby on their side as well; at least till your baby learns how to roll if necessary this would normally happen around 4-6 months. Also, you might want to instruct all other family members on how to feed your baby and how to hold him afterwards so as to prevent him from choking. A simple step such as placing the baby vertically and waiting for him to burp will drastically slash the risk of him choking. 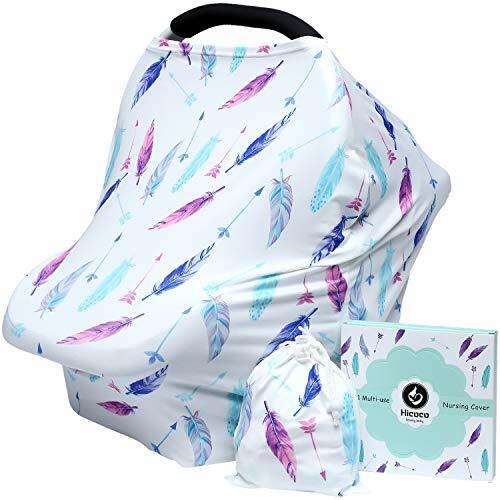 Kids N’ Such have designed this beautiful canopy nursing cover that can easily double as a burp cloth after breastfeeding. Plus, these nursing covers are made from safe cotton fabric that is colored by chemical-free dyes at a local plant in the United States. The cotton used is imported through fair-trade programs and customers have reported the Kids N’ Such nursing covers to be super soft and non-transparent hence you can be sure that the nursing cover will not irritate your baby. 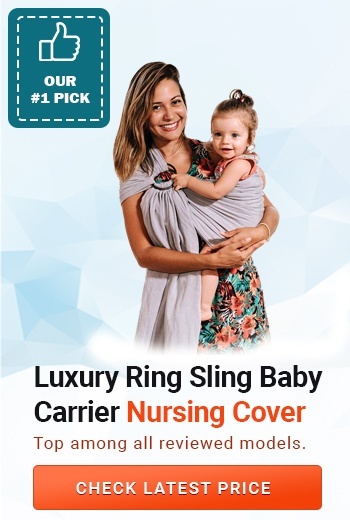 Some parents said these nursing covers are a little more expensive than other brands but they have also mentioned that they are willing to pay the higher price as these nursing coversdo not thin or wear out for a long period of time. Moreover, these nursing covers were reported to keep their shape and color even when washed in hot water and placed in the drier. 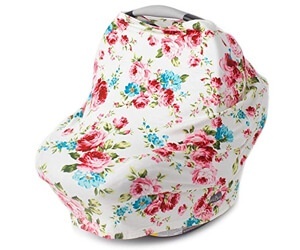 A beautiful nursing cover for girls with a floral pattern that is manufactured from organic cotton hence the nursing cover is easy to keep clean as you would only need to toss it into the washing machine and set it on a normal cycle. If you will notice that the burp cloth has stubborn stains that are very difficult to get rid of, you could soak it in white vinegar for at least 30 minutes before washing it as usual. 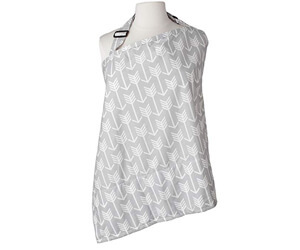 Many mothers have reported this apron nursing cover becoming a back-up burp cloth in their diaper bag. Moreover, its color scheme will make it suitable for boys and girls. The extra-large nursing cover will make it comfortable for you to breastfeed anywhere in the public as it overs maximum privacy. Plus, the fabric is thick enough to be used as a baby blanket yet it is breathable for your baby not to feel hot under it. Furthermore, the strap around your neck will prevent the nursing cover from slipping accidently and exposing you in the public. 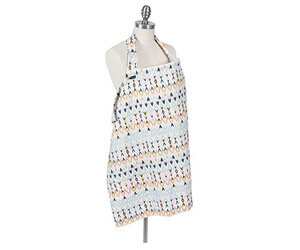 Lastly, you can choose this nursing cover in four different colors plus you can buy burping cloths in the same pattern. Kids N’ Such Blue Canopy Nursing Cover is very popular amongst parents around the world as manufacturer only uses organic cotton that is sourced through fair trade programs. Moreover, these cotton nursing covers do not contain any chemicals such as lead, phthalates, BPA’s or latex. These nursing cover are manufactured to be thick so that it has a high level of absorbency plus it’s pretty thick hence very durable and less prone to thinning or tearing apart even if washed frequently. Just like all Kids N’ Such fabric products, these breastfeeding covers can be tossed in the washing machine and placed it the drier. Thanks to high quality fabric they will not shrink or bleed. 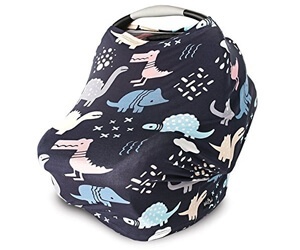 These nursing cover are thick and soft hence they will be perfect for mothers that feed their babies in public frequently plus you can use this nursing cover as a burp cloth to wipe off any large amounts of breast milk or formula after every feeding session. Sadly, these breastfeeding covers are not very large but they are quite thick yet breathable plus they are made in neutral colors so you would not have to worry about them being made for girls or boys. 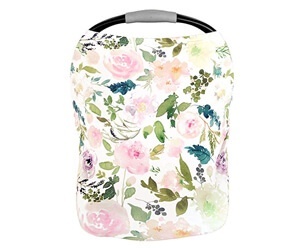 Plus, they are easy to wash and do not fade in color when ironed even on a very hot setting hence they will become a great option for mothers who like to iron all baby stuff for added disinfection. 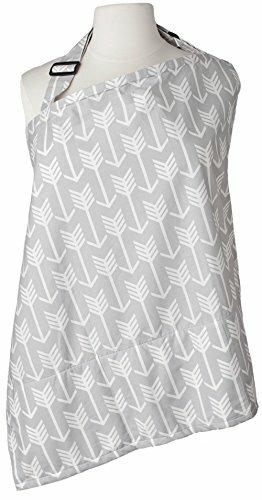 The print on these baby nursing covers are made using the latest techniques in the industry hence the print will bleed or fade. Pura Vida Cotton Baby Nursing Cover can double as a baby sling plus it is made out of thick cotton that is warm yet breathable. 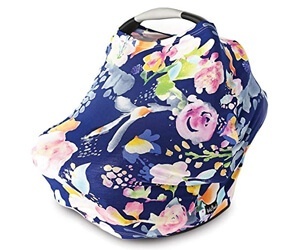 Moreover, mothers have used these nursing covers as burp cloths and drooling napkins, the medium size of this nursing cover will not take up much space in your diaper bag. Also, Pura Vida Cotton Baby Nursing Cover and Sling is from chemical-free material and is lightly colored with toxin-free fabric colorants. The cotton used is imported through fair-trade programs and customers have reported the burp cloths to be super soft and absorbent hence you can be sure that the burp cloth will not irritate your baby’s cheeks when you place him on your shoulder or lap. Furthermore, these nursing covers keep their shape for a very long time even if you iron it after every wash. They don’t bleed or fade either. 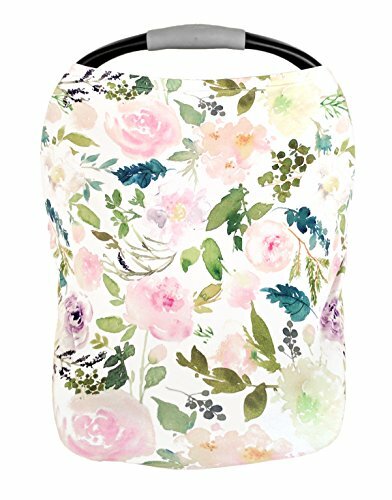 Babe Au Lait Premium Cotton Nursing Cover is made from plush cotton fabric that is decorated with various elegant prints. These nursing covers are made to be of an optimal thickness so that they would have good breathability and be machine washable so you would not have to worry about them getting too dirty. However, be careful with tossing them in the drier as they can bleed and shrink. Moreover, do not iron them or bleach them as ammonia will cause the fabric to start tearing up rendering the baby burp cloth useless. 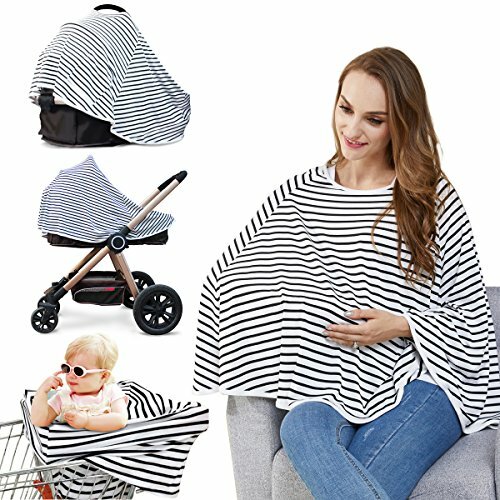 Hicoco Winter Fleece Nursing and Stroller Cover will be great for colder months plus the gray color will be suitable for boys and girls. Moreover, they are easy to keep clean as you would only need to toss them into the washing machine and set it on a normal cycle. If you will notice that the nursing cover very soiled, then you could simply pre-treat it with baking soda before putting it into the washing machine. This nursing cover could also double as a light blanket and a burp cloth also the nursing cover is very breathable and elastic. High-quality white muslin nursing cover that is easy to keep clean as they are machine washable and do not shrink in the drier. 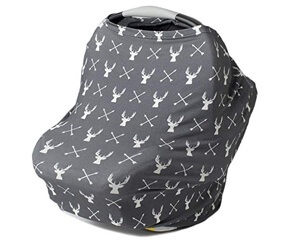 This nursing cover can also be used as car seats whenever needed hence many parents have reported carrying them in the diaper bag just in case. Moreover, you could use it during diaper changing as they are very absorbent and just the right size. 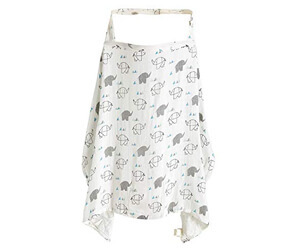 Kids N’ Such Nursing Covers are very popular amongst parents around the world as manufacturer only uses high quality, durable cotton that is sourced through fair trade programs. Plus,their thickness also makes it more durable and less prone to thinning or tearing apart thus they can be easily washed in the washing machine on a normal cycle without you fearing it would fade or shrink. In conclusion, remember to inspectthe nursing cover to ensure it doesn’t have any hard stitches that could irritate or scratch your baby’s skin. Also, avoid buying synthetic baby nursing cover as they will very likely irritate your baby’s skin plus avoid using harsh detergents and especially bleach as it has a very toxic odor that will very likely irritate your baby’s nose and lungs. Therefore, if you will decide to use bleach on a nursing cover, make sure you rinse the baby nursing cover at least two times before you hang.